Doing it right means more than simply having the technology. It needs to work everyday—all the time! 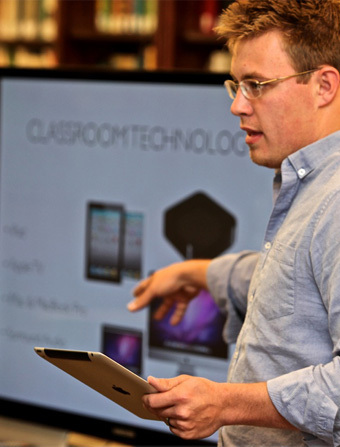 Teachers must be able to control their classrooms, right down to each individual tablet. Administrators must be able to monitor activity. Students must be protected with a “walled garden” suited for their age and experience and they must have 24/7 seamless access to assignments, tests, textbooks and other educational materials. The wireless infrastructure must be able to withstand the most demanding requirements—hundreds of students uploading and downloading high-density digital content at the same time. iSchoolCampus is the total SmartSchool solution offering all of this and more including a suite of proprietary software applications and ongoing professional development for educators, administrators and IT professionals.